As we did research into Braille grammar and characters we learned that “2” and “B” are represented by the same double-dot character. The Two Blind Brothers’ abbreviation “2BB” translated into a unique Braille mark, and an inside pun for those who read Braille. We created new the full logo mark with the “2/B” mark built into the type lock-up to continue this play on language. 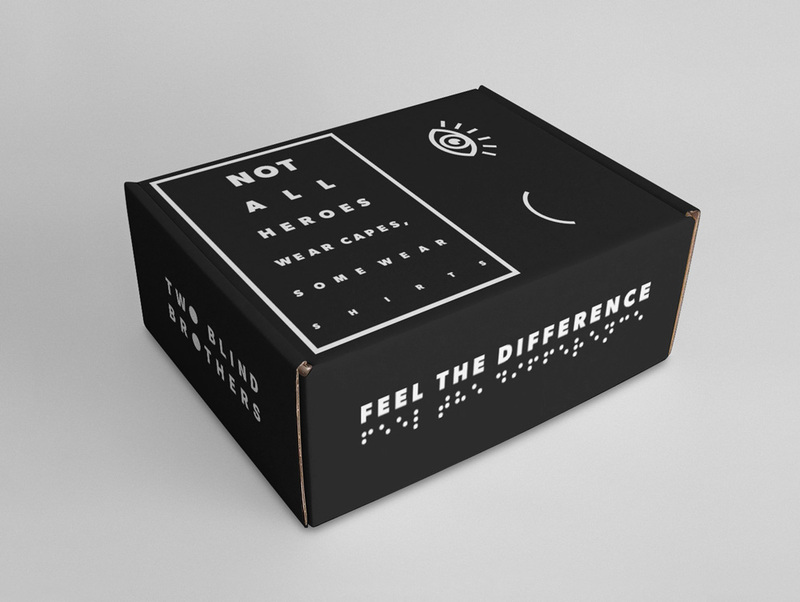 Second, we also wanted to embrace visual conventions that created a connection to, and best served, the unique legibility needs of the visually impaired community. We looked to design elements with high legibility design conventions for inspiration, like street signage and eye charts. And also studied vision impairments to select high contrast colors – black, white and yellow – that were intentionally highly energetic, differentiated, and ultimately extremely legible for individuals with varying vision abilities. The old logo was okay but it placed too much emphasis on its braille element — which spelled out “LOOK” — instead of the company’s name. The new logo is a much better balance of the two, with a clever nod to braille aptly executed into a single wordmark. Even if you don’t read braille — I don’t and it was only until I saw the animated GIF that I fully got it — the two black “O”s convey the idea of blindness by removing the “light” from the letters… and there is two of them, playing off of the name. The applications are bold and graphic with minimal extraneous elements, keeping everything crisp, clear, and direct. Overall, a great new identity for a great cause. (Est. 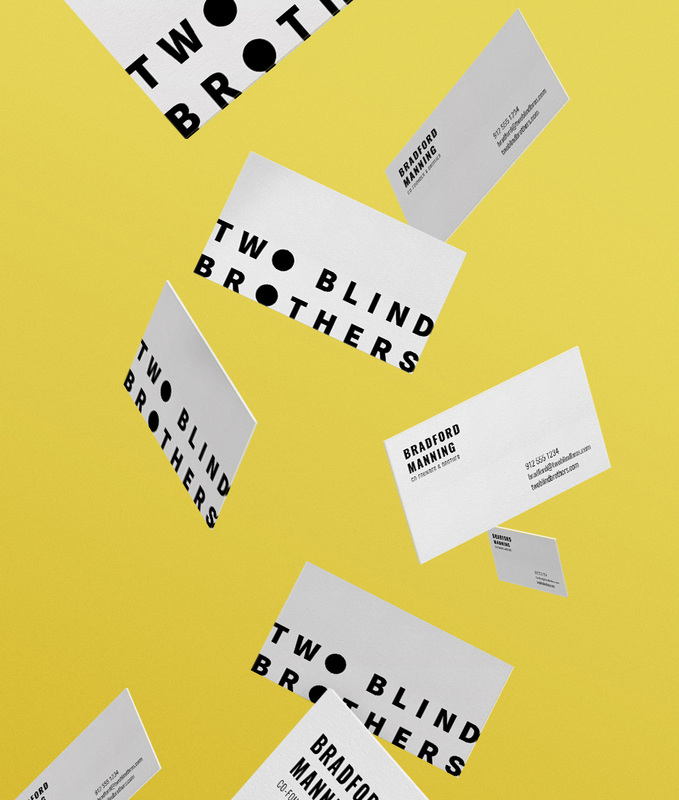 2015) \"Two Blind Brothers is a luxury clothing line on a mission to cure blindness. 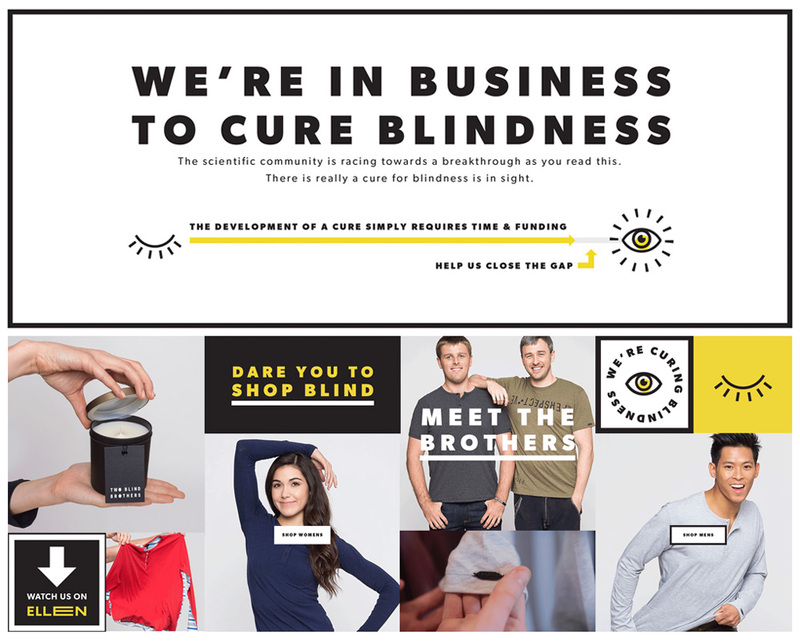 Founders Bradford and Bryan Manning were both diagnosed with an eye disease that causes blindness over time. […] Unlike other lines, the Two Blind Brothers collection is not outsourced. The production is located in the heart of the fashion district in New York City. Despite the first-rate nature of the designs, fabrics, and assembly, the value to the customer is extraordinary compared to other luxury designers because the brothers fund the operation without being paid a salary. All proceeds are instead donated to life-changing research to cure blindness. The research is guided by a team at the Foundation Fighting Blindness. Among other incredible medical achievements, this team has helped develop a successful gene therapy for Leber's Congenital Amaurosis (LCA). Other cures are close behind including one for Stargardt's disease, which affects Bradford and Bryan.\"